I nearly stopped reading this book after about the first thirty pages where Lutz presents a diatribe about – well – virtually everything including “scheming” Japanese, global warming, politicians, Thomas Friedman, Japanese good luck rather than good marketing, health care costs etc. I am glad I stuck with a book written with a passion that Starbucks’ Howard Schultz would be proud of and a book that provides some powerful lessons for all business people. Lutz’s basic contention is that Detroit was often managed by “idiot-savants;” People of enormous intelligence but who had no feel for cars, the marketplace or customers. Some of his commentary on the ludicrous decision making process in GM could have come straight out of a MASH episode. In prepping this review, I went back and scanned Paul Ingrassia’s excellent book Crash Course: The American Automobile Industry’s Road to Bankruptcy and Bailout-and Beyond which in general is positive about Bob Lutz, so maybe he can be forgiven for being less than coy. Conor Cunneen is a Chicago based marketing, brand and leadership speaker who provides Substance with Humor to Improve People, Performance and Productivity. Conor is a former VP Marketing Unilever Foodservice who has worked in senior sales and marketing positions in the UK, USA and his beloved Ireland. This happily exiled Irishman also happens to be a history buff, an inveterate reader and an award winning humorist speaker. As a Chicago based leadership and marketing keynote speaker and master of ceremonies, Conor’s clients range from Harley-Davidson to Helsinki, from Memphis to Madrid. PHONE Conor at 630 718 1643 when seeking a keynote speaker, marketing and brand advisor to Energize, Educate, Entertain and Engage your next conference or event. Below, are clips showcasing Conor’s ability as a speaker to convey powerful brand and marketing messages. Looking for a Chicago based marketing brand or inspirational keynote speaker, then PHONE Conor at 630 718 1643 or you can complete the following form. Cheers! Conor wondering where his hair has gone! 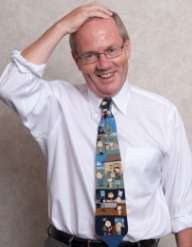 You can contact marketing keynote speaker and Chicago based Irishman Conor Cunneen at 630 718 1643. He will be delighted to provide you with additional reasons why you should book this humorous, brand and marketing keynote speaker – business, pharma, foodservice etc.